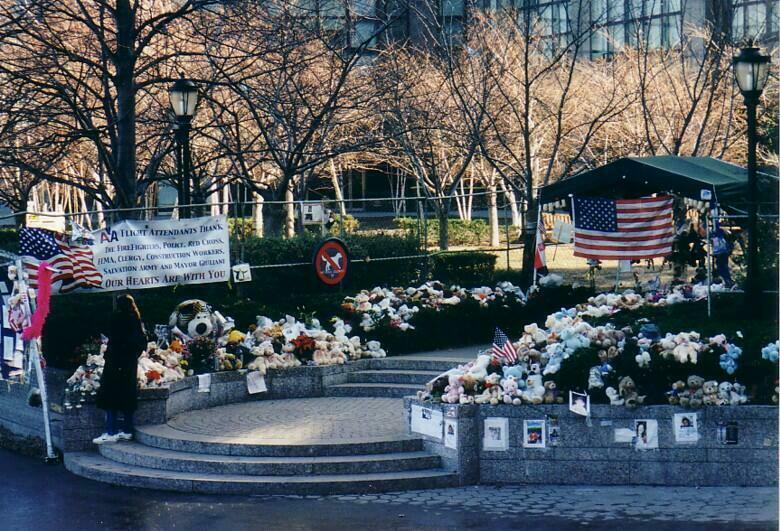 This memorial is located in the north cove of the World Financial Center, which is located just across West Street from the World Trade Center. 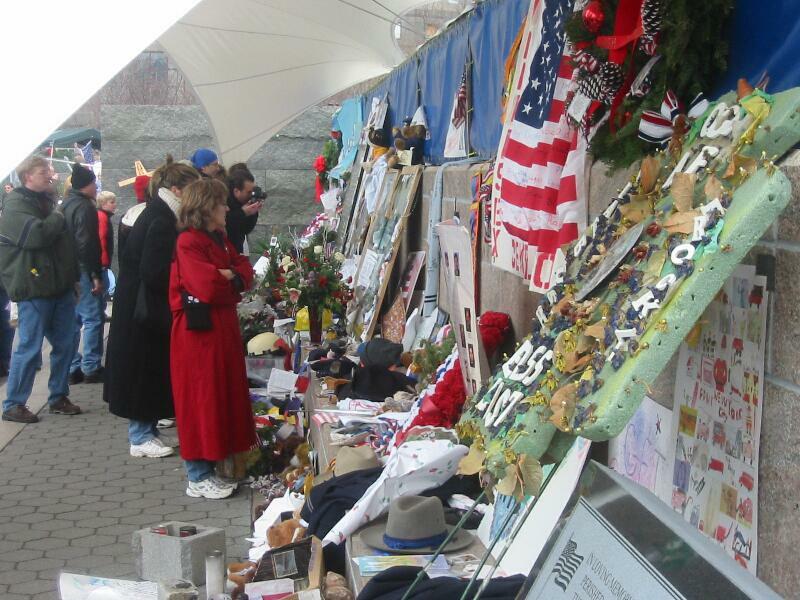 Most of these photos were taken on December 29, 2001. 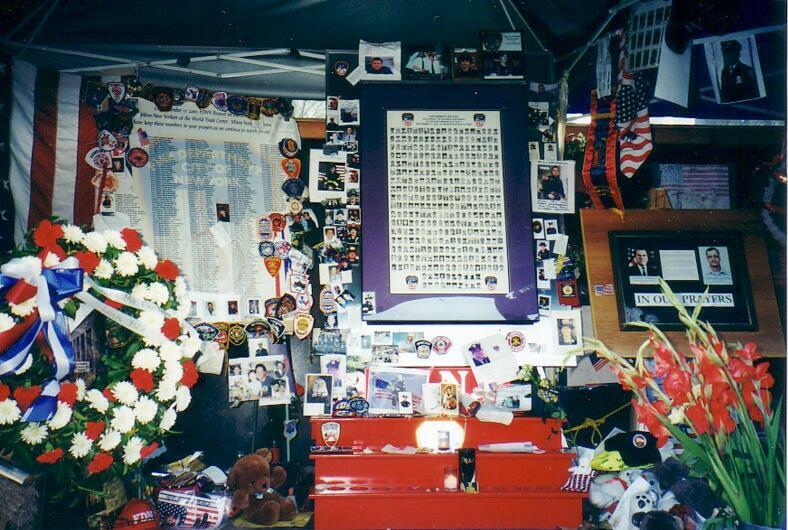 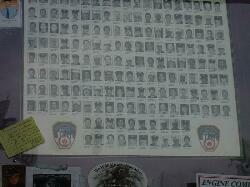 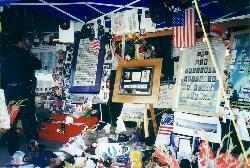 Photos of all of the 343 firefighters lost at the WTC. 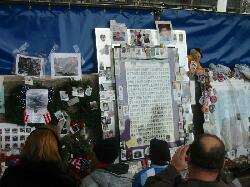 many of whom were lost at the WTC. 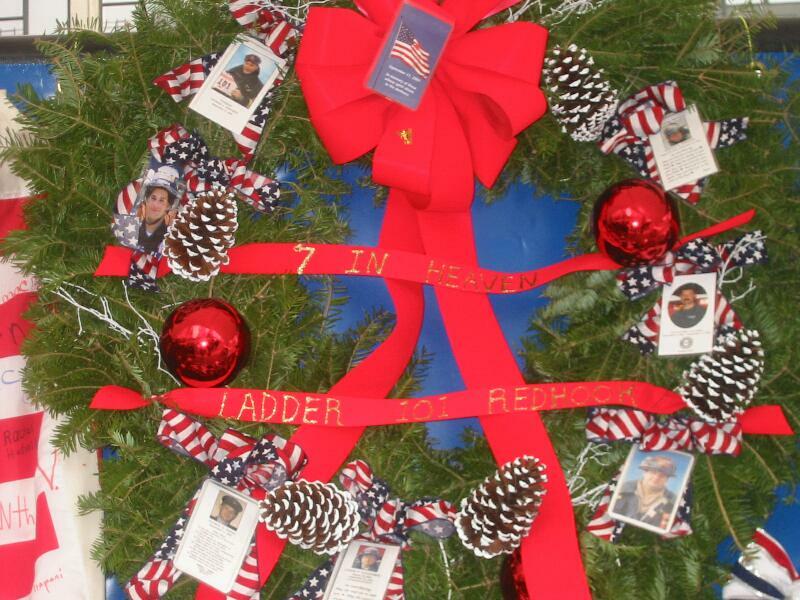 A reef for the seven in heaven of Ladder 101. 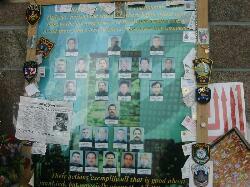 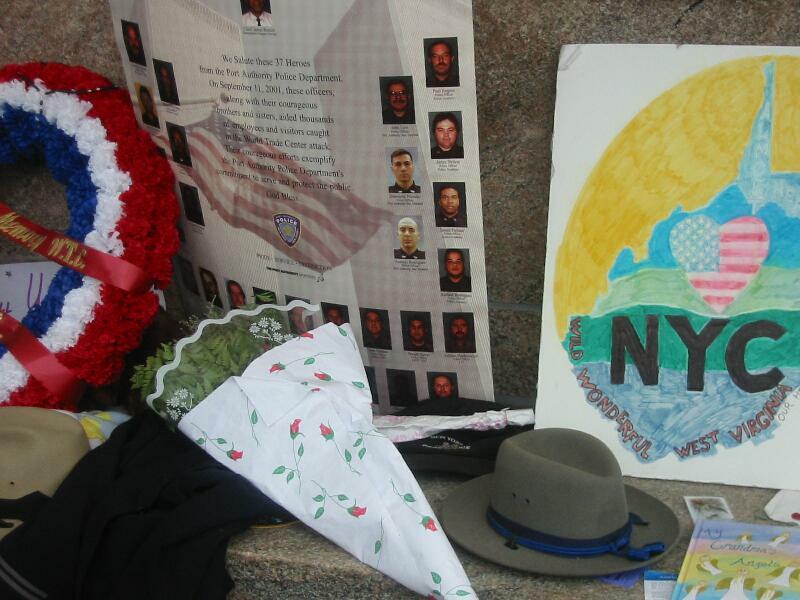 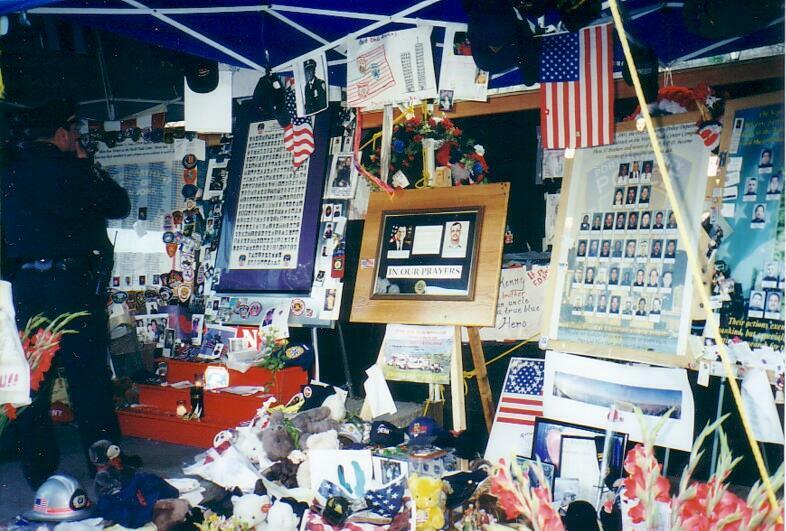 Photos of the police lost at the WTC. 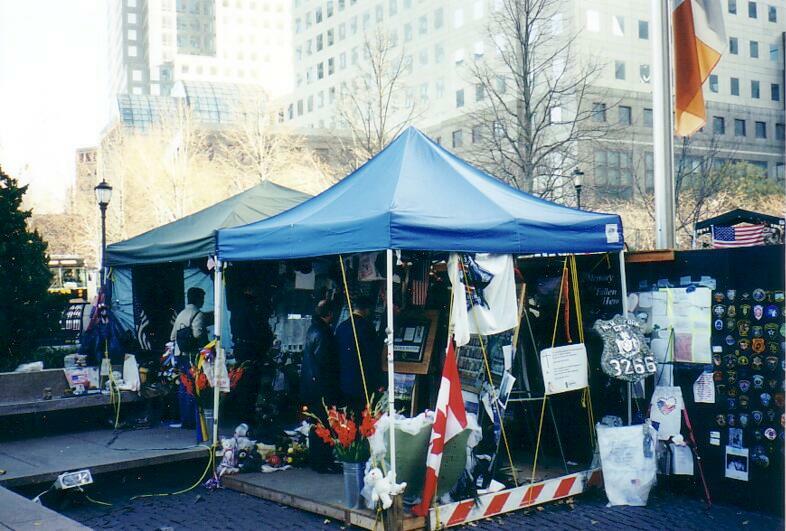 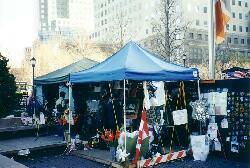 Photos of the Port Authority police lost at the WTC. The wall of the memorial. 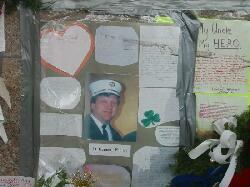 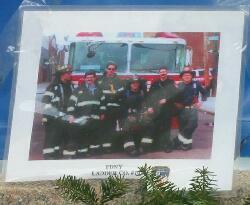 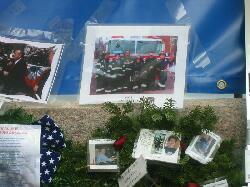 just an hour before the memorial for Joseph Maffeo of Ladder 101. 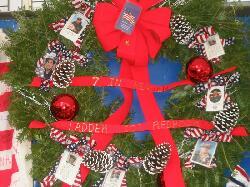 Photos of the firefighters and police lost at the WTC. 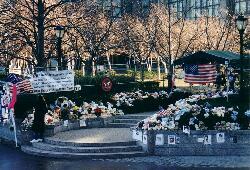 is the Winter Garden which suffered heavy damage from the collapse of tower 1 of the WTC. 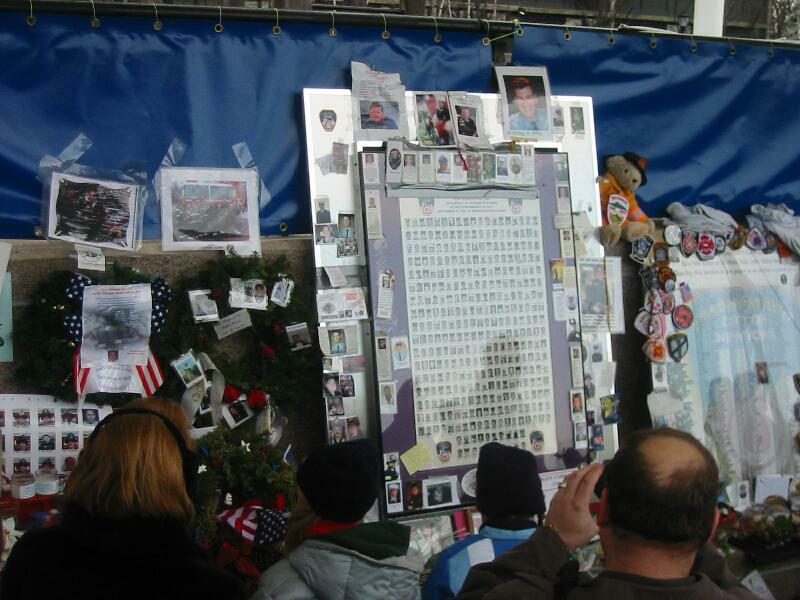 Just adjacent to the uniformed services memorial is a memorial to the civilians lost at the WTC.